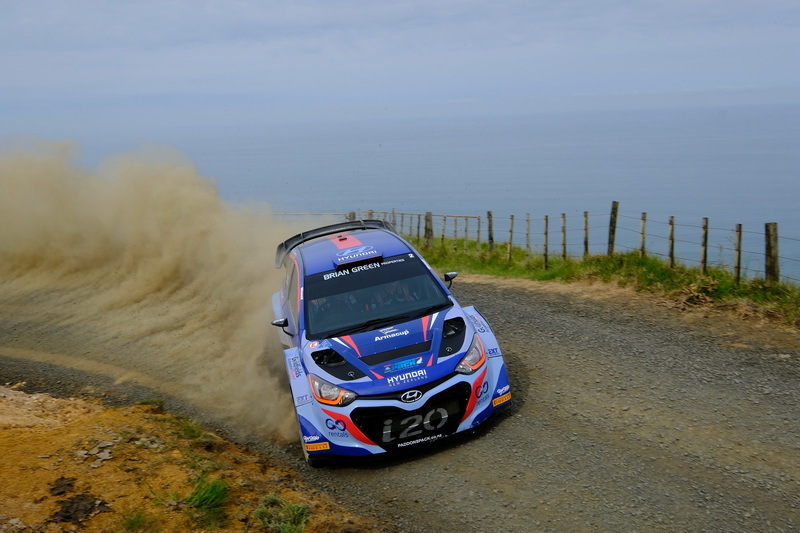 New Zealand’s World Rally Championship star Hayden Paddon has taken victory in Rally New Zealand after two days of hard fought competition, taking an eventual winning margin of 7 minutes 28.7 seconds. He and co-driver John Kennard were dominant across the weekend, taking victory on each of the 12 special stages. With Paddon making only two appearances this year, the top honours were owned by Andrew Hawkeswood and Jeff Cress when they were crowned New Zealand Rally Champions after six rounds and more than 1000 kilometres of special stages. The pair wrapped up the title by a margin of 10-points over Matt and Nicole Summerfield, with Ben Hunt and Tony Rawstorn third after one of the most intensely fought titles in years. The Motorsport New Zealand two-wheel drive championship, contested between the NZRC two-wheel drive and Open two-wheel drive classes, came down to a winner-takes-all shootout that was taken out by Dylan Thomson and Amy Hudson, who headed home Max Tregilgas/Glenn Goldring and Anthony Jones/Tanya Gwynne. Thomson also claimed the NZRC two-wheel drive class for front-wheel drive cars up to two-litre ahead of Tregilgas and the brother/sister duo of Robbie and Amy Stokes. The open two-wheel drive title was won by Jones with Jack and Brenda Williamson second and Marcus van Klink/Dave Neill third. The Historic Rally Challenge was wrapped up by Tony Gosling and Blair Read after victory at Rally New Zealand, edging out second placed Paul Fraser and Chris Davison, while despite not finishing the series finale, Mike and Helen Cameron were able to wrap up third in the series. The Rally New Zealand event was one of the most treacherous of the season, with only 20 cars completing the 226.80 kilometre route and many of those with tales of woe to tell. The 2018 New Zealand Rally Championship kicks off with Rally Otago on April 14-15.